Howell condos for sale in Howell. Call 732-598-7700 to see Howell condos for sale, condos in Howell or Howell condos 07731. The Howell condos for sale are located in ten condo complexes. You can find condos with one, two or three bedrooms. Also, eight of the complexes have garages available. The prices of Howell condos for sale range between the low $100,000s to the mid $300,000s. low down payment. Additionally, another complex, Moors Landing, is listed as a townhouse community. As a result it does not need FHA approval. Stanford Brook Estates may also fit that category. The other condos are in Briarcrest, Cedar Glen, Greenway Run, Ramtown Manor and the Windmill Club. According to the 2010 Census there were 51,000 + people living in Howell. There are over 17,000 households. The median income was $89,287, also, the per capita income was $35,489. 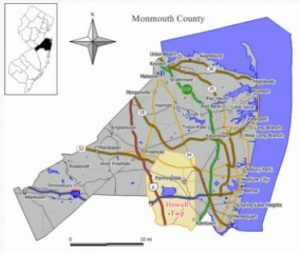 Specifically, Howell covers 61.21 square miles, making Howell the largest town in Monmouth County. A major recreational feature in Howell is the Manasquan Reservoir. This has a 5+ mile jogging / bicycle path with additional side trails. Route 9 is solidly packed with shopping and restaurants. Nearby towns, such as Freehold,Brick and Lakewood also have numerous shopping and dining locations. Bus transportation is on Route 9 for commuters in addition to local bus service. Children from condos in Howell go to the twelve schools in town. There are nine schools serving grades Kindergarten through fifth grade. Additionally there are two other schools are for grades six, seven and eight. Howell High School is one of the schools in the Freehold Regional High School District. The other five high schools are in Freehold Twp, Freehold Boro, Colts Neck, Marlboro and Manalapan. Each of the high schools offer an advanced curriculum. Children from Howell may apply for that special curriculum as part of a competitive admission. In Howell High School the main magnet program is the Performing Arts. In fact, SAT scores at all of the high schools consistently exceed state and national averages. As a result, more than 87 percent of the district’s students pursue higher education. Obviously – don’t miss the Spring Musical. Also, there are numerous private schools in the area, as a result parents have many choices for educating their children.